Mange is a disease caused by parasites on the skin. In most cases, these parasites are mites digging into the surface of the skin and feasting upon your dog’s blood. The result is an allergic reaction. There are two forms of mange. Red mange, or medically known as demodectic mange is condition found in dogs, while notoedric mange attacks cats. When your pet is affected, you instantly look for a solution. Today, we will talk about some of the natural remedies for mange. You can easily detect the symptoms of mange in your pet. They are quite obvious and visible. Mange can appear on your dog’s face, head, ears, and neck. The initial goal with natural remedies is to soothe the itching. You need to calm your dog, as mange can cause constant scratching that often results in anxiety and distress. To manage the itching, and relieve mange, we propose several home remedies for mange. Great for cooking, olive oil also has amazing properties for treating skin problems. 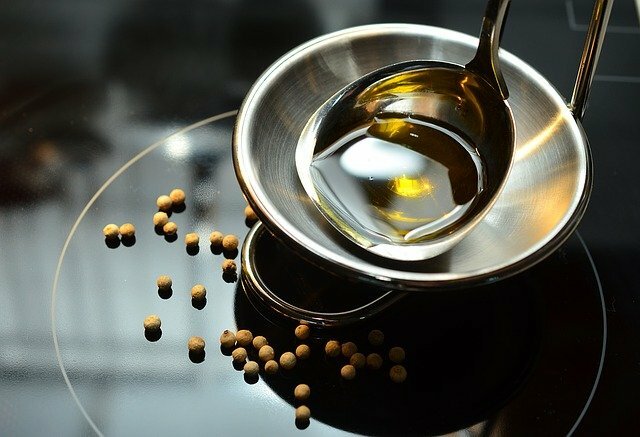 We use olive oil on our face to treat acne and other issues. So, with that in mind, you can also use it on your dog’s skin and coat, as it is powerful, yet gentle. When applied to the skin of your dog, olive oil can help get rid of adult mange, but also larvae and eggs. In the same time, olive oil relives scratching and irritation of the skin. Depending on how large the area is, you will need between one and three tablespoons of olive oil. Apply the oil, leave it for 15 minutes, and then wipe it away. Repeat two times per day. Another remedy that can help you get rid of mange mites in your dog. 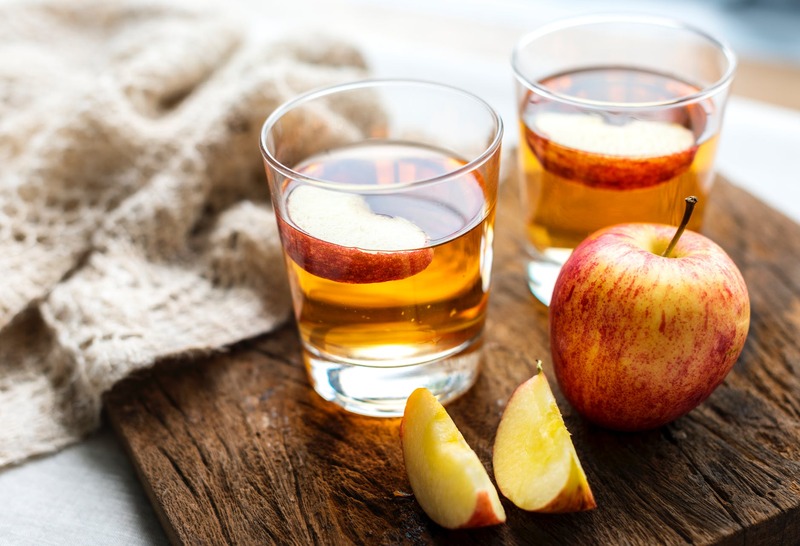 Apple cider vinegar is known as a remedy for your dog’s coat. Many people practice washing their dogs with apple cider vinegar. For this remedy for mange, you need to mix half a cup of ACV, half a cup of Borax, and warm water. Mix the borax with water first, and make sure it is fully dissolved before sponging the mixture on the skin of your dog. Make sure your dog does not lick the mixture, as it can be harmful and toxic. Apply the mixture to the entire body and coat of your dog, avoiding only the mouth and eyes. Let the solution dry on its own without towel drying. If you need spot treatment, pour in a spray bottle, and then apply only in the affected area. Organic yogurt is one of the best products for skin issues. 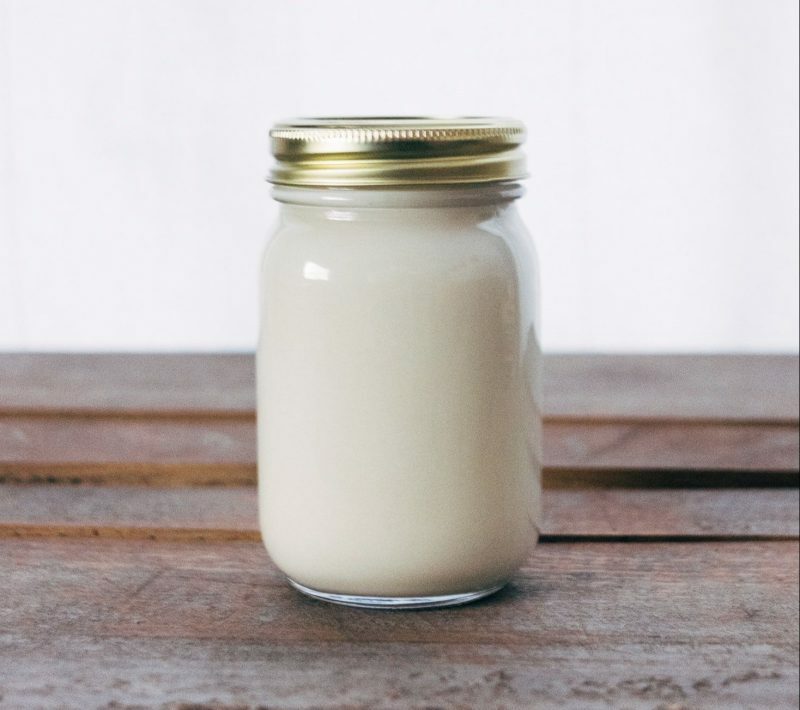 Containing a lot of healthy bacteria, yogurt can restore the balance of bacteria on the skin, fight off irritation, and relieve any itching. Apply one tablespoon of yogurt to the affected area. Wait for 15 minutes, and then wipe it away. Be sure the dog does not lick the yogurt. We praise honey as one of the best natural remedies for our skin, hair, and body. We know all of the incredible properties of honey. You can use for many ailments for animals thanks to its antiseptic and antioxidant properties. 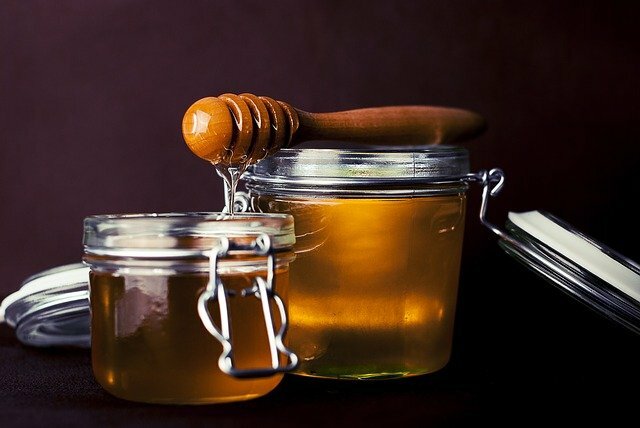 When applied to the skin, honey cleanses the skin of bacteria, dirt, and grime. Apply directly to the sore spots. This combination might seem weird, but it is quite effective. 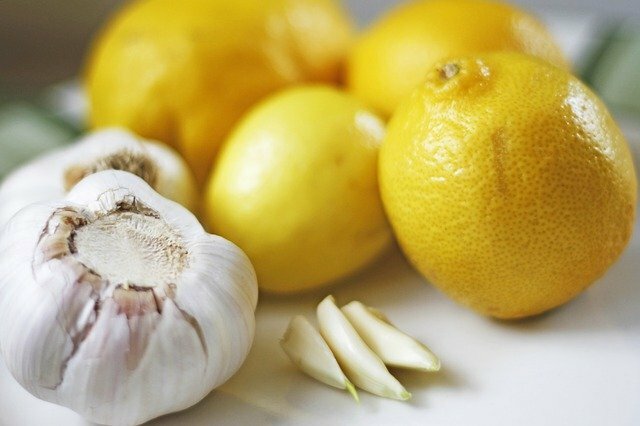 Garlic and lemon is a potent mixture that promotes healthy skin and eliminates mange. Mix six and ten cloves of garlic in a bowl filled with half a cup of water, and one lemon’s worth of lemon peels. Let the mixture steep overnight. The next day, pour the mixture into a spray bottle. Apply directly to the affected area. Repeat two times per day. All you have to do is apply aloe vera gel to the affected area. Gently rub it into the skin, and repeat two times per day. 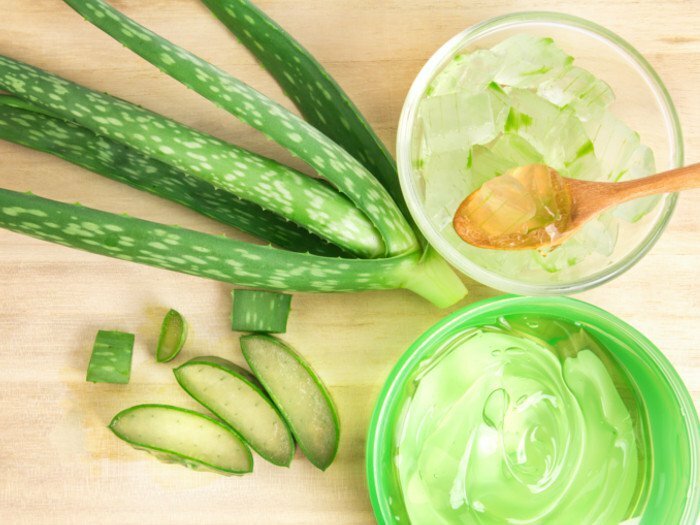 The natural antiseptic properties of aloe vera will relieve inflammation, irritation, and scratching. And thanks to its antibacterial properties, aloe vera will eliminate mange and its larvae. 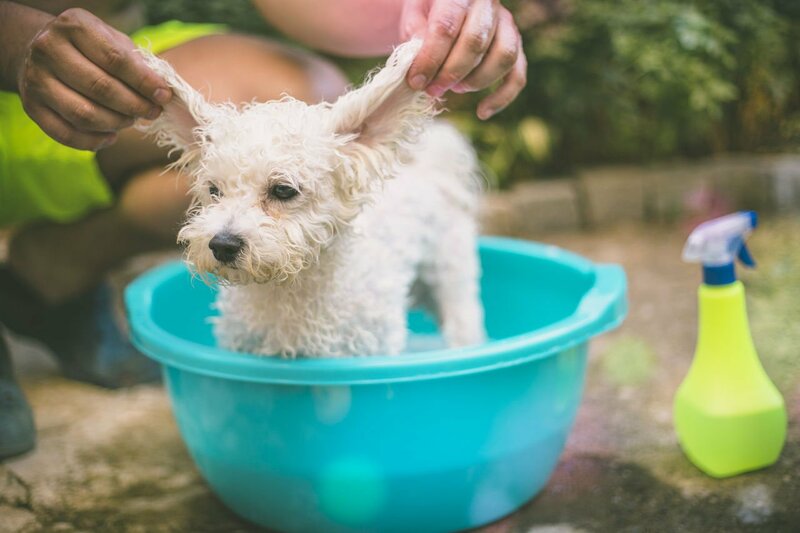 Mix soap with warm water, and then apply the mixture to the skin of your dog. Soapy water helps eliminate the mites that cause mange. You also prevent spreading of the disease to other body parts. How effective are natural remedies? When you are dealing with mange, you have to stress patient and dedication to treatment. While these remedies are effective, they will not solve the problem overnight. In most cases, it takes up to four weeks for you to completely eliminate mange, its eggs, larvae, and for the sore skin to fully heal. It will take even longer for the fur to grow back to its full glory. When used on a daily basis for a full month, all of the remedies show high efficacy rate. To make sure these remedies are effective, use them on skin spots, ears, and nose on a daily basis. In the same time, bathe your dog at least every week. While there are a lot of home remedies, and most of them are successful, in some severe cases, your puppy needs more. Severe cases of mange, especially sarcoptic mange, cannot be treated without medications prescribed by a veterinarian. Veterinarians usually prescribe an anti-parasitic drug in liquid form. You need to give the drug to your dog orally on a daily basis. And you have to repeat the process until the vet confirms two negative skin scrapes, 7 to 14 days apart. So far, there are no known ways you can prevent mange. However, veterinarians are consent that a healthy immune system is the best way of prevention. Well, it means you have to keep your dog happy and healthy. That includes a healthy diet, plenty of exercises, and regular supplementation depending on your dog needs. If your dog is infected, make sure there is a place for sleep separated of other animals in the home. You have to make sure there is no spreading of the disease. To prevent any repeat infections, make sure to wash all of the bedding of your dog and clean the rooms where your puppy was present. You can also spray your dog, pet bedding, and other parts of the home with a skin tonic spray that eliminates infested areas. Most dog foods are classified as “feed-grade”. That means they are unfit for human consumption, as they contain a higher allowable level of toxins than human-grade food. When you have a pet that is infected with mange, and you want to restore its immune system, the recommendation is to switch to a whole-food diet containing only human-grade food. Apply the same rules you apply to your healthy food. That means local, fresh, and food with lots of variety. Before making any dietary changes, consult with your veterinarian and a board-certified dietician to ensure well-rounded diet for your fur baby.